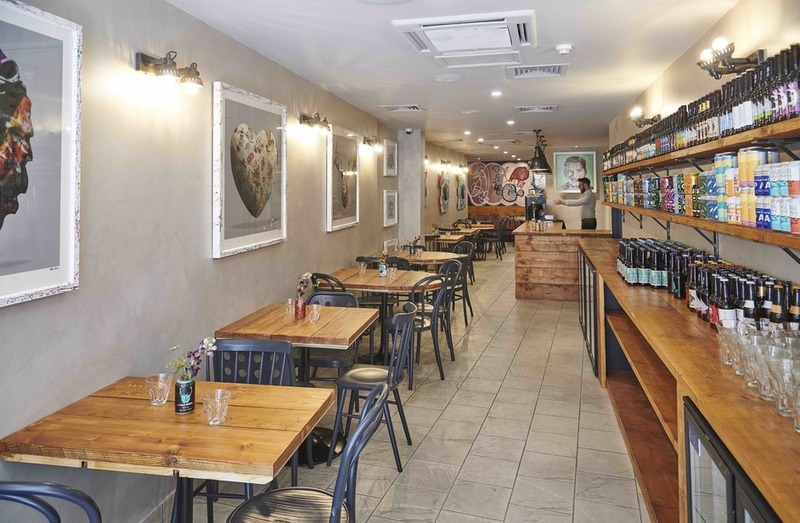 Adam Handling's Bean & Wheat coffee shop and deli in Hoxton houses a craft beer library of 280 craft beers from small suppliers, and it's all available to enjoy on the premises or grab and go. The focus here is on reducing waste so salmon sandwiches and cauliflower salads are freshly made on site every day using surplus foods from Adam's other restaurants - Frog by Adam Handling and EVE Bar as well as The Frog Hoxton and Iron Stag Bar, both of which share the same Hoxton Square building as Bean & Wheat. Alongside seasonal blend coffees from Union Hand-Roasted Coffee and fresh juices, the Hoxton deli houses an impressive craft-bottle beer shop and - in keeping with the sustainable outlook - you can recycle empty beer bottles in exchange for a free coffee. Bean & Wheat gyms, sporting activities, health & beauty and fitness. The best pubs near London Bean & Wheat. Bean & Wheat clubs, bars, cabaret nights, casinos and interesting nightlife. Where to have your meeting, conference, exhibition, private dining or training course near Bean & Wheat. From cheap budget places to stay to luxury 5 star suites see our deals for Bean & Wheat hotels, including Holiday Inn Express London-City from 85% off.